School is out, summer is in full swing and family road trips are marked on the calendar. Chapman Dodge Chrysler Jeep Ram wants to make the family vacation a little more luxurious and convenient this summer with the 2018 Dodge Grand Caravan SE Plus. Dodge The 2018 Dodge Grand Caravan SE Plus is capable of taking on even the most adventurous road trip. Capable of taking on even the most adventurous road trip, the 3.6-liter V-6 engine will get families where they need to go, especially with a maximum towing capacity of 1,500 pounds. With added handling benefits such as the six-speed automatic transmission and touring suspension system, road trips will be a lot smoother from the driver’s perspective. Power sliding side doors and available power liftgate also give additional simplicity when loading and unloading travelers. Not having enough storage space is now an issue of the past with the Dodge Caravan. With seating for seven, there is plenty of room for the kids and luggage. The vehicle’s Stow ‘n’ Go second-row bucket seating and storage system also provides the opportunity to utilize more free space. 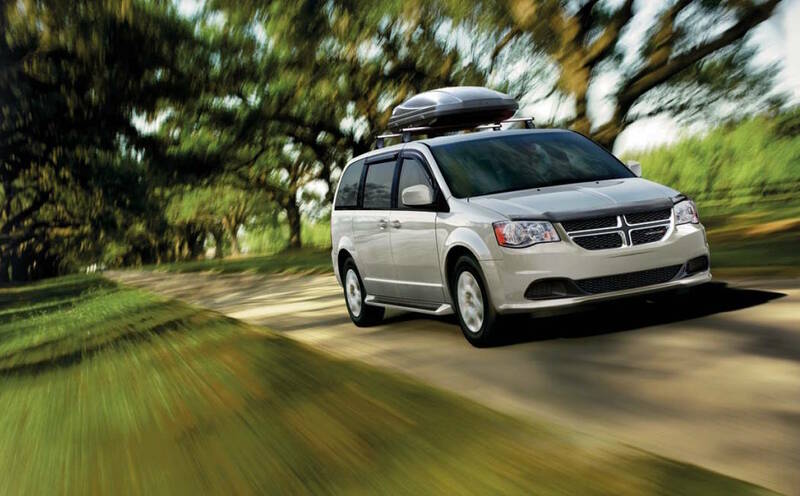 Safety is always at the forefront of everyone’s mind when purchasing a family car, and the Grand Caravan has many valuable features that work to protect precious cargo. From the ParkView rear backup camera, which provides a wide-angle view behind the vehicle with on-screen gridlines, to the seven advanced airbags throughout the cabin and high-strength steel frame, drivers can travel hundreds of miles with peace of mind. Added convenience features include a high-resolution 6.5-inch touchscreen, a CD/DVD player and SiriusXM satellite radio, which is equipped in all new vehicles with a 12-month all-access trial subscription. Chapman Dodge Chrysler Jeep Ram, at 3175 E. Sahara Ave., sells and services both new and used vehicles. For more information, call 702-457-1061 or visit vegasdcj.com. All Chapman dealerships are open for sales from 8 a.m. to 9 p.m. Monday through Saturday. Parts and service are open from 7 a.m. to 6 p.m. Monday through Friday and 8 a.m. to 2 p.m. Saturday.